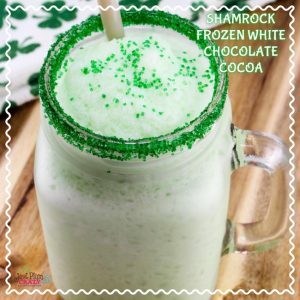 Shamrock Frozen White Chocolate Cocoa Recipe | Be Plum Crazy! 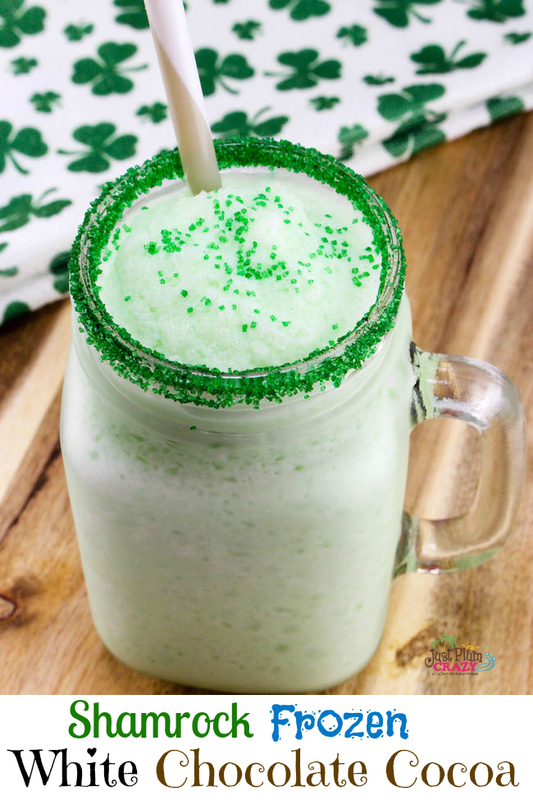 The Shamrock Frozen White Chocolate Cocoa Recipe is brought to you by Just Plum Crazy. Shamrock Frozen White Chocolate Cocoa Recipe! 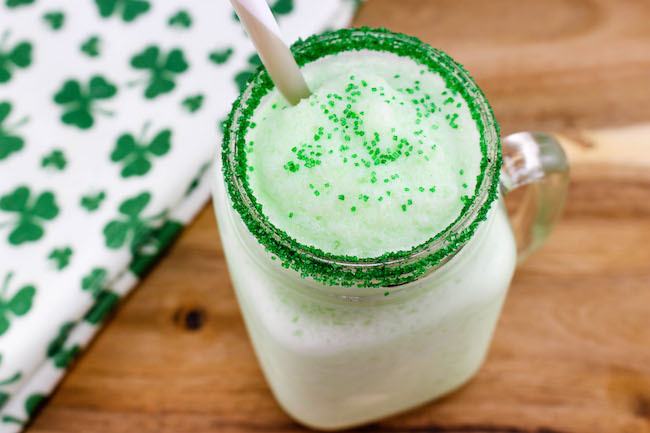 With all the St. Patrick’s Day goodies that we’ve been sharing, I think it’s time for a beverage like this Shamrock Frozen White Chocolate Cocoa Recipe. 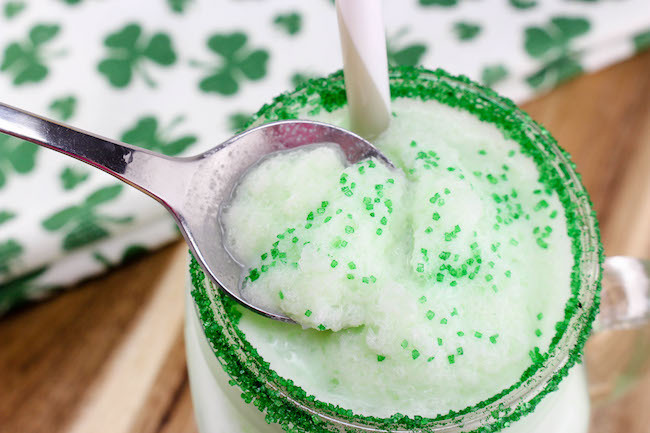 Be sure to check out all our other St. Patrick’s Day recipes that we’ve been sharing this week. 1. 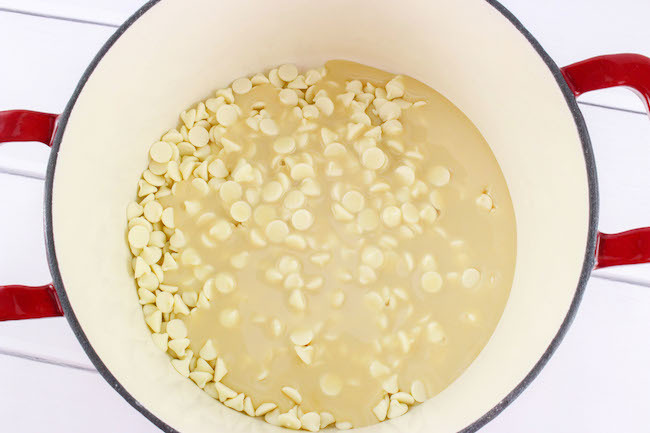 In a pot over medium heat, mix together whipping cream, condensed milk, milk, white chocolate chips, and food coloring. 2. 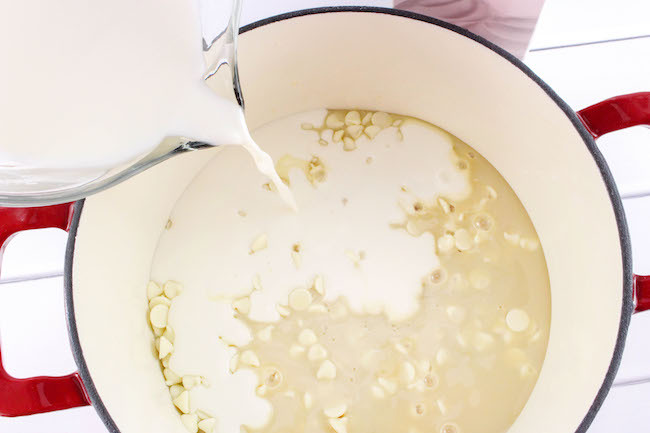 Cook for about 45 minutes, stirring occasionally. 4. 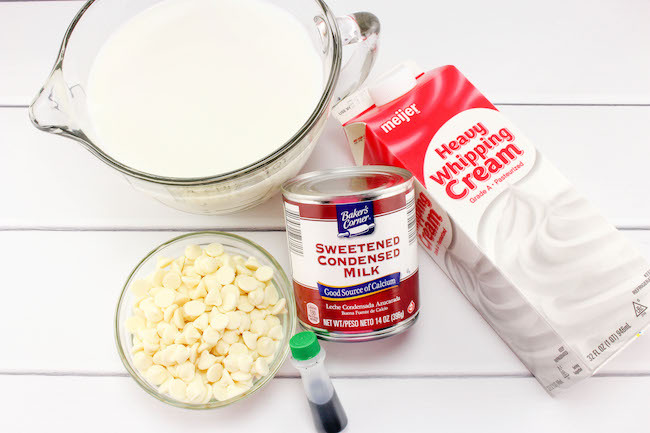 In a blender, add about 5 cups of ice and 2 cups of chocolate mixture. 5. 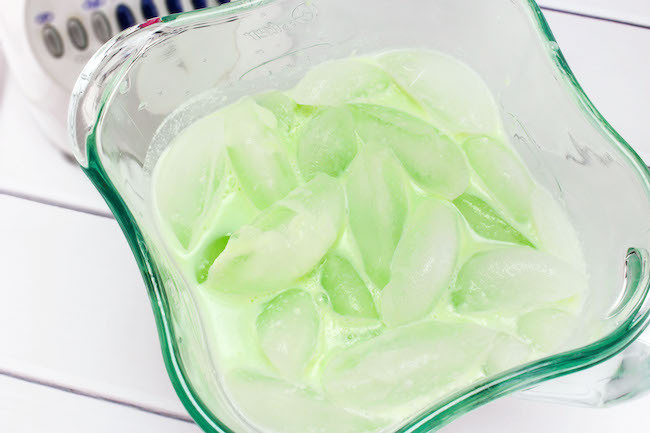 Blend until thick and pour into glasses. 6. 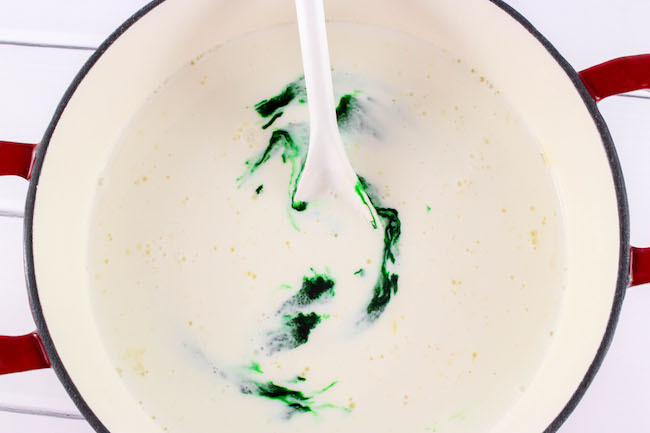 Garnish with whipped topping, fun sprinkles, or marshmallows. 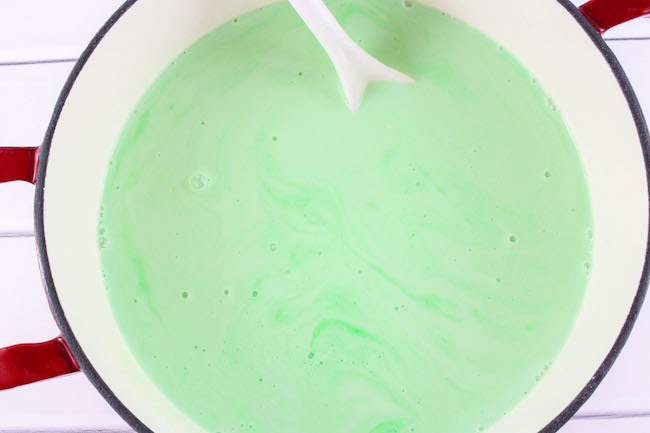 Previous Post: « Oreo Truffle Ball Recipe: A Pot O’ Gold Awaits You!